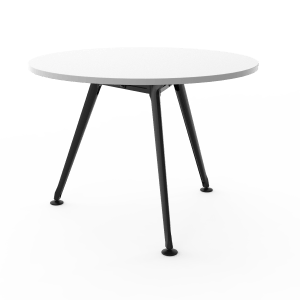 Team Meeting table with round worksurface size of 900mm dia. White powdercoated 4 leg frame & black top rail. 25mm Studio white worktop with matching ABS Edge. Overall height 750mm with adjustable height glides. Team Meeting table with round worksurface size of 900mm dia. Black powdercoated 4 leg frame & black top rail. 25mm Studio white worktop with matching ABS Edge. Overall height 750mm with adjustable height glides. 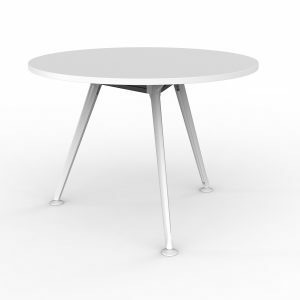 Team Meeting table with round worksurface size of 1050mm dia. White powdercoated 3 leg frame & black top rail. 25mm Studio white worktop with matching ABS Edge. Overall height 750mm with adjustable height glides. 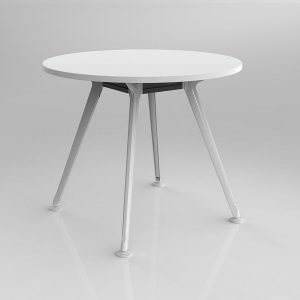 Team Meeting table with round worksurface size of 1050mm dia. Black powdercoated 4 leg frame & black top rail. 25mm Studio white worktop with matching ABS Edge. Overall height 750mm with adjustable height glides. 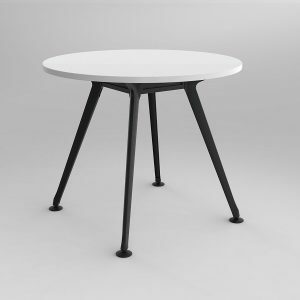 Team Meeting table with round worksurface size of 900mm dia. 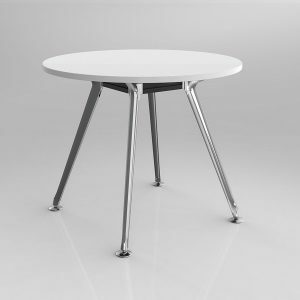 Polished Alloy 4 leg frame & black top rail. 25mm Studio white worktop with matching ABS Edge. Overall height 750mm with adjustable height glides. 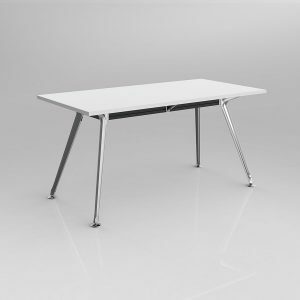 Team Meeting table complete with worksurface size of 1500mm x 750mm. White powdercoated 4 leg frame & black top rail. 1 piece 25mm Studio white worktop with matching ABS Edge. Overall height 750mm with adjustable height glides. 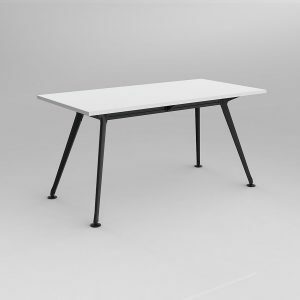 Team Meeting table complete with worksurface size of 1500mm x 750mm. Black powdercoated 4 leg frame & black top rail. 1 piece 25mm Studio white worktop with matching ABS Edge. Overall height 750mm with adjustable height glides. 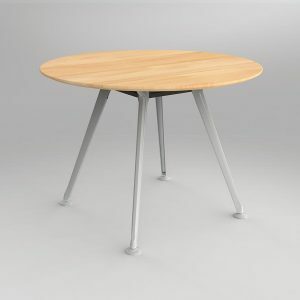 Team solid beech table 105mm diameter. Standard Team frame, solid beech top with clear laquer and sharknose edge detail. 730mm high. White powdercoat legs, black rails and connectors. 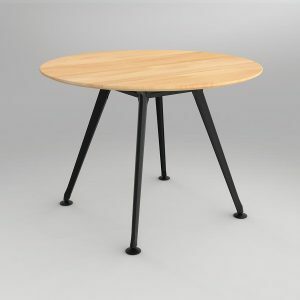 Team solid beech table 105mm diameter. Standard Team frame, solid beech top with clear laquer and sharknose edge detail. 730mm high. Black powdercoat legs, black rails and connectors. 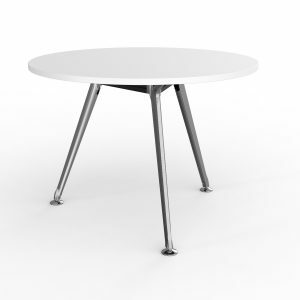 Team Meeting table with round worksurface size of 1050mm dia. Polished Alloy 3 leg frame & black top rail. 25mm Studio white worktop with matching ABS Edge. Overall height 750mm with adjustable height glides. 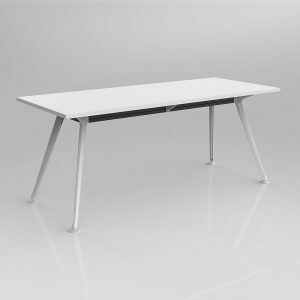 Team Meeting table complete with worksurface size of 1500mm x 750mm. Polished Alloy 4 leg frame & black top rail. 1 piece 25mm Studio white worktop with matching ABS Edge. Overall height 750mm with adjustable height glides. Team Meeting table complete with worksurface size of 1800mm x 750mm. White powdercoated 4 leg frame & black top rail. 1 piece 25mm Studio white worktop with matching ABS Edge. Overall height 750mm with adjustable height glides.